Ascension CD Pre-Sales now open! 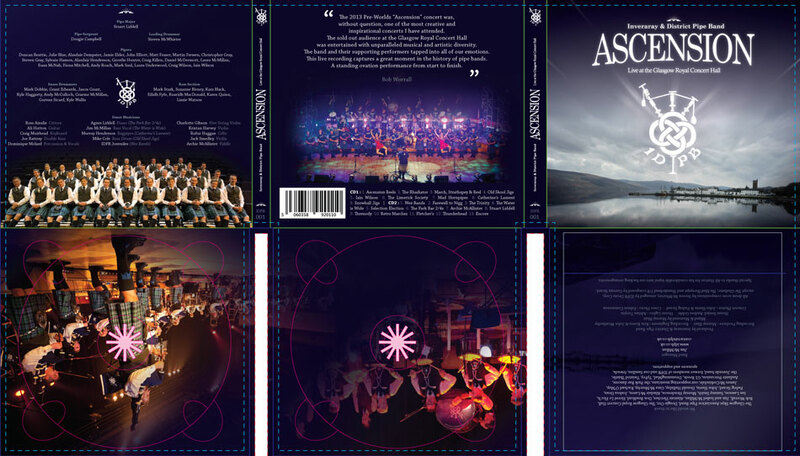 We are pleased to announce that our Ascension concert recording will be released as a double CD in early December. When producing the album we realised that there were just too many sets we wanted to share with people so decided to release the entire show. The Albums come in one package with an eight page booklet containing all tune names and some humorous background stories to them! The band thought it would be a cool idea to release the official music pack for the concert so pipers could play along with the album or just learn their favourite tunes from the band;s repertoire. The pipe music as played on the night with over 50 tunes (no harmonies) is available on a immediately downloadable PDF for only £10.00. ← Ascension – Sold Out!